Are you scheduling a holiday party in Northwest Arkansas and need some new ideas? 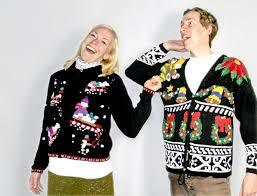 Have your last few holiday parties been the same thing each year or, lacked the excitement or fun you would like? If so, it’s time to try something new. Lucky for you, we have scoured some of the hottest sites and found five great ideas that bring together the best of Northwest Arkansas and help your company celebrate a great year. Show your loyalty to our state and local growers by showcasing locally grown food at your holiday party. There are many farms that grow year-round in greenhouses and sell in markets like the Rogers Farmers Market or the Fayetteville Farmers Market, while many others are seasonal. Not a good cook? You can also have food catered from local restaurants that source food locally. Need additional resources? Check out the Northwest Arkansas Food Guide for 2015-2016 or Ozark Slow Food society who’s mission is: To promote a sustainable farmer/consumer community and the celebration of healthy foods. Arkansas residents are very proud of their college football and that stands out in their clothes, home decor and car flags. 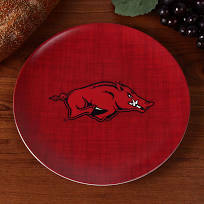 Show your Razorback spirit should go beyond a bowl game party, after your favorite Thanksgiving meal or Christmas party. Bringing the football spirit to your holiday party is like tailgating early (and you don’t have to get in the cold to do it). 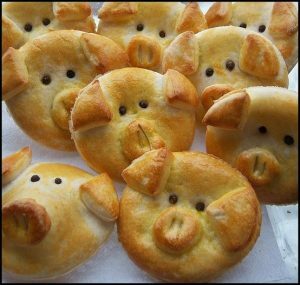 Check out one of our favorite sites, Pinterest, to find great ideas like these cute little piggy rolls from Cafe Chocolada. Another way to bring local to your party is to showcase your great state. Create this look by showcasing it in your table settings, invitations or decorations. Get creative with your ideas and anything is possible if you have time and a hot glue gun! Selecting a great party theme is a great way to add another level of fun to a party and see the creativity of your team and how they participate. There are many great themes that can be used year after year like ugly Christmas sweaters but, mixing it up can also be part of the fun, too. Select a great theme for your group by playing off of the things they know and love. Favorite Sports team: Don your favorite jersey or sports gear and see who’s team wins the majority at your party. Any of these themes can create a little bit of fun and competition amongst your group. Make sure to ask them if they bring their own props or if you have to provide these. That may or may not be added to the regular cost of the rental. Don’t have the cash but have a little time on your hands, you can make your own. Visit your local Goodwill, Helping Hands or Potter’s house for other accessories. Viola, grab a friend from the crowd to take pics and either have everyone post them to the same hashtag or, text them around to the crowd. It’s easy and oh, so much fun! In this day and age, adult coloring books are all the rage and people are looking for outlets for their creative energy. This isn’t just for the girls but, men are getting into crafting as well. Incorporate this into your holiday party to not only have fun and let out a little creative energy but, it also provides your guests a great souvenier to remind them of your great party. There are many easy to set up and inexpensive party crafts. Marie Claire magazine calls it a “Craftstravaganzaa” where you get your friends together and craft around the hearth. Creating crafts can be fun for all. You can find many ideas on Pinterest or Etsy. 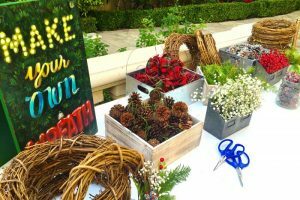 One of our favorites came from the website Bizbash which showed us a great idea by Seed Floral in West Hollywood, PA. They created a Wreath making station for a family friendly party. Just pull together a few tree cuttings or pre-made wreaths from Hobby Lobby or Michaels and have a handful of ornaments, ribbon or other natural items that bring the wreath to life. This is great craft for parties with adults and kids alike. A party is a great celebration for those in the room but what about for those that will not get a holiday party? Philanthropic giving is a very important part of many people’s lives. It is a key element in many religious practices and for others, it is a much-needed tax break. Either way you look at it, even when times are tough and we dip into recession periods, people are still giving to those that may not have for themselves. And why? Because it makes people feel good. Looking at this graph, you can see that giving in 2015 went up 4.1% from the previous year and is slowly begins to ramp up. Incorporating giving into your party will not only provide a deeper meaning for your guests, it will make them feel good about attending, giving back and will create a higher engagement with your company. There are hundreds of charities in Northwest Arkansas so, choose the ones that best fit your business model or, best fit the hearts of your employees. Incorporating these five “must have” items into your holiday party will not only create added excitement, it will also make your party the one to look forward to next year!